1996 Heritage Prize, Anthony A. Kila is a Jean Monnet Professor of Strategy and Development. He is the Centre Director at the Centre for International, Advanced and Professional Studies, Lagos. He was also an international Director of Studies at ECAPS in Cambridge. He is a fellow at the European Institute for Social and Economic Development, a regular commentator on the BBC and a columnist with The Punch, Leadership, Independent, Business Day, and Europa; his articles and essays are also published in various other news outlets. Anthony Kila studied in Cambridge, London, Perugia and Suffolk. He graduated with a first class degree in political science and later specialised as a scholar of political anthropology. 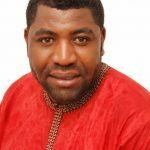 He has taught in a variety of colleges and universities in Cambridge, Ipswich, Lecce, London, Perugia, Siena and Lagos. His other works on African studies and culture include Modern State and the Ethnic Factor, The House of Secrets and Nations and Nationalism in Africa. Àjèjì o̩ wó̩ kan kò gbé igbá dé orí. No single hand, regardless of its might, can lift and place a calabash on the head. Amongst the Yorùbá, it is still a very common practice for people to carry loads on their heads. In the traditional society, the calabash in all its different forms and sizes is one of the most frequently used containers for drinks and the usual vessel in which palm wine is kept, and from which is kept and sold. The status of the calabash in the society has changed through time. In recent years, the growing trend in rural areas and villages has been to replace it with various types of aluminium, metal and plastic containers. In those areas where it still survives in daily use, the calabash continues to be a simple and practical container. By contrast, its presence in the cities is slowly but noticeably increasing, here calabashes have become appreciated aesthetic qualities and as symbols of tradition and are now mainly used as decorative articles for homes and in public buildings like restaurants and hotels. The palm wine drinker's club comprised mainly of university students, uses the calabash as one of its main symbols. The students, wishing to revive and exalt their traditional culture, strive to create a comradely spirit and, in their ever-festive reunions, use colourful expressions, sing folk songs and drink palm wine. This proverb draws upon the fact that, the unwieldy form of the calabash makes it inherently difficult to handle. Like all bowls, once filled it is impossible to lift or manoeuvre with just one hand. The saying reminds us that there are certain situations and tasks that are meant to be tackled with the help of others, never alone. The proverb is often used to exhort someone guilty of not doing so to confide in or to share responsibilities with a partner, friend, sibling or member of the community. 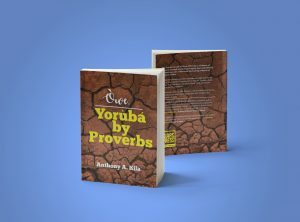 "When I read the final draft, I found the content fascinating and provocative, accessible to all readers, it will certainly prompt their interest in Yorùbá culture. While the imagery of the proverbs is located in the particulars of the Yorùbá culture, the analysis conveys the universality of human nature."